We decided to compare the length of the whale to the length of their pectoral fin. Using google image search we accessed a large variety of whale images. We loaded these pictures into ImageJ and measured the length of the whale from the nose to the end of their body (not including their tail fin). Then we measured the length of their pectoral fin from where it joins the body to the tip of the fin. Taking into account the curve of body and fin using the freehand tool. 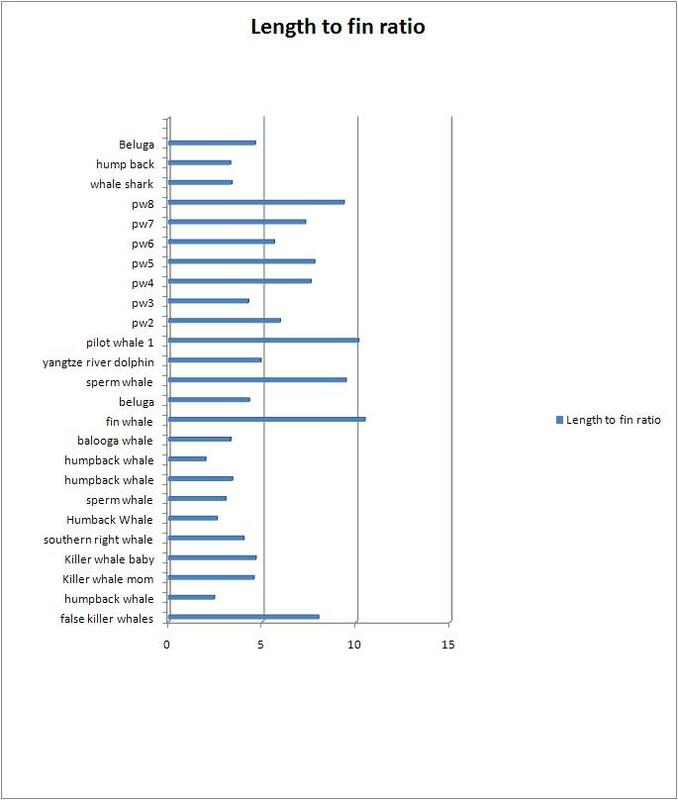 Using excel we created a bar graph showing the variation in the body length vs. fin. We found that there is a large amount of variation between and within species of whale. This could be due to the age and maturity, and position of whale in the pictures. Since they are not all positioned the same direction some error occurs despite our use of the free style tool.